"Europe, a new political split in Italy"
Just days before the Italian parliamentary elections on 24th and 25th February, the Robert Schuman Foundation has published an interview with Marc Lazar, a university professor specialising in history and political sociology - he is also a specialist of Italian political life. 1. In November 2011 Mario Monti formed a technocratic government to face the economic crisis and to rescue the country: pension reform, public spending cuts, anti-tax fraud measures and new tax rules. What are the visible results of this policy one year on? The results are undeniably impressive. 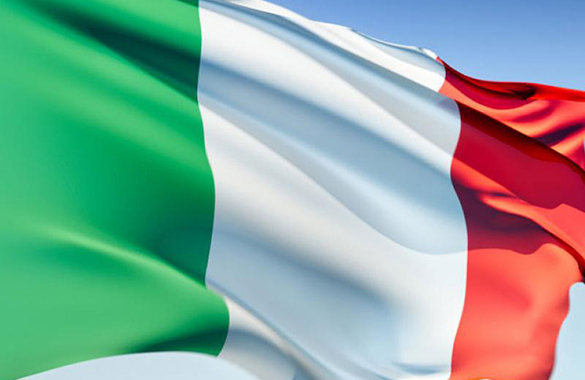 In November 2011 Italy was qualified as Europe's "sick child". Italy's situation, that of the euro and Europe seemed catastrophic because of the public debt deficit, the lack of credibility on the part of Berlusconi and his government and also because of internal divisions within the latter. During the summer of 2011 Silvio Berlusconi did however introduced several austerity measures under pressure from the European Central Bank and various capitals in Europe. But this was not enough and he had to resign. Since then Mario Monti has saved Italy's image and made his country credible again. He has undertaken a series of reforms that one might qualify as a real "shock therapy": massive cuts in public spending, retirement pension reform with an extension of the obligatory period of contribution, and therefore the number of years worked, the postponement of the legal retirement age and significant tax increases. His programme was called "Salva Italia", literally "Save Italy". Moreover, he immediately launched a series of spectacular operations against tax evasion, i.e. placing money elsewhere than in Italy or not declaring taxes. In a second wave of action in the spring of 2012, he tried to start reforming two other complicated areas. Firstly, there was the reform of the labour market, which took more time than planned, and which is not finished. It caused the dissatisfaction of the main workers' confederation (CGIL), since it thought there was too much flexibility; Confindustria (the representative organisation of Italian businesses) was also dissatisfied because it deemed that too much security was given to employees. This reform has not yet been completed. Furthermore the reform announced regarding the liberalisation of certain activities including the most emblematic of these, taxis and chemists, amongst others, encountered resistance in Parliament and notably on the part of the parties which were defending their electoral bases. In all Mario Monti has a more than honourable record card: his work has been welcomed by the markets, the spread has decreased, Italy has recovered its credibility. The reforms have not yet been finalised but they have been achieved quickly over one year. We should also remember that he was supported by a motley coalition of parties: ranging from the People's Party of Freedom (PdL: centre-right), with Silvio Berlusconi having retired to the background, to the Democratic Party (PD: centre-left), not forgetting the Centre Union (UDC) led by Pierferdinando Casini, who in spite of themselves, all accepted this shock therapy,. One reform still has to be completed: administrative and territorial simplification, which notably reduces the number of provinces. The problem of the high cost of political life has to be addressed, especially when we see that Italian MPs are amongst the best paid in the EU. When we view things from France we often miss one point: it is the capacity for resistance on the part of an unfettered Italian civil service. Above all the government was condemned as of December 2012. With future events being uncertain the civil service impeded any further attempts to reform. 2. Lauded by the European leaders and the markets, how is the policy and Mario Monti's personality perceived by the Italian public opinion in the present electoral context? First there was a period of grace which lasted three months between November 2011 and January 2012. The government was doing well in terms of its popularity. But quite quickly, given the effects of the shock therapy, the Italian population started to criticise the austerity measures, which was hitting it head on. For example workers, in both the public and private spheres, were against the labour market reform; craftsmen, small retailers, liberal professions and small businessmen were angry because of the measures taken against tax fraud - the liberalisations encountered corporatism. Although public opinion was critical about the government's policy, the Italians did behave responsibly overall. There were very few mass demonstrations, except for some action by young people which degenerated into confrontation and for a while led to resurgence of the spectre of the violence of the 1970's. However Mario Monti as a person enjoyed a popularity rate that many politicians and heads of government would like to have had. This is because of several ambivalent factors. The Berlusconians liked part of the Monti programme, especially its liberal dimension, saying that it was like the Berlusconi Programme 1994-2001 and that Monti was only doing what Berlusconi was unable to do. It was better for the anti-Berlusconians to support Monti rather than Berlusconi himself. And a great share of the Italian population said, "here's a man who is speaking the truth, a type of Churchill, quoting "blood, sweat and tears". Furthermore Mario Monti enjoyed an extremely good brand image because he was not political. He is a technician, an academic, a former European Commissioner above the parties in which only 4% of the Italians have any confidence. This popularity declined after his decision to enter into politics in December 2012. Hence there is an enormous rift between the excellent image which Mario Monti enjoyed abroad amongst decision makers and journalists and the perception the Italian public opinion has generally but also that held of him by the leaders of the major organisations (unions and employers for example). 3. Were you surprised by the announcement on 28th December last that the Professore was going to stand - since his mission was supposed to be temporary? In your opinion what is his goal: to change Italy, reform Europe, continue his mandate at the service of his country or does he have a more political ambition: to replace Giorgio Napolitano at the Quirinal Palace? I was surprised that Mario Monte decided to stand. Initially I thought that he would be elected President of the Republic. The present President Giorgio Napolitano would have liked to have taken on the role as the "saviour of the Republic". In answer to the question of what pushed him to take this decision, I admit that I find it difficult to find an answer. However in the present context, three factors might explain his decision. The first was the immense international pressure, notably on the part of the ECB, the IMF and the heads of the European States, which Berlusconi criticises him for, saying that he is the "foreign candidate". Secondly, there might have been encouragement from the Catholic Church, since the ecclesiastical circles were concerned about Berlusconi's escapades and reassured by the coherent policy of this Catholic - who is liberal both from an economic and societal point of view. Finally, the third reason is that there is a personal equation that we cannot ignore: his desire to rebuild a centre-right, modern, European, liberal party which would modernise Italian political life. Now, he faces two major problems. Firstly, he is not really a candidate; he has given his name to a list, which is quite surprising. Then the former academic and technocrat has had to learn in very little time how to be a politician. He who spoke of rigour and austerity has started to change his approach, talking of possible modifications. However for the time being the lists "with Monti for Italy" are enjoying low voting intentions, around 10%. 4. The man we thought finished - Silvio Berlusconi - is making a strong back. How should we see this political fight for power in the campaign which is so surprising when we consider it from the outside? Silvio Berlusconi's decision to return to politics took everyone by surprise. No one thought he would be present in this election. Even his own party, the Party of Freedom had planned to organise primaries to appoint a candidate after the success of the primaries on the left. It is quite right for us to wonder what might justify his return. If he decided to return to the forefront it is probably because he saw that if he didn't do it his party might disappear and a share of his electorate would simply implode. Some were going to vote for Beppe Grillo, others for Mario Monti. With the dispersal of the votes, everything that he had undertaken was about to collapse. He thought he was the only leader, and quite rightly - able to rally this electorate which had taken him to power three time already. To this we might add his personal interests and his immediate need - even obsession - of escaping the courts. Moreover we have to acknowledge that he has a certain political know-how since he perceived in Bersani's victory, over a young more charismatic rival, Matteo Renzi, in the Democratic Party's primaries, the opening of a political opportunity for him. And in the last polls it seems that Berlusconi has risen significantly even though the Berlusconian charm no longer works in the same way as before. 5. According to a DPI Marketing poll on 8th February the Democratic Party (PD) was credited with 34.7% of the voting intentions, the PDL, just six points behind, was credited with 28.6% whilst that of the UDC coalition with Mario Monti was due to win 14%. Silvio Berlusconi - who we thought was absolutely finished after his conviction in the courts is now back in the race. In your opinion what are his advantages in this campaign? Silvio Berlusconi has four resources at his disposal. First, he constantly condemns Mario Monti's government, which his party in fact supported however, but from which he stood apart - this gives him the freedom of attitude. He is extremely critical about the austerity policy and the malaise surrounding the extremely sensitive fiscal issue. In the 1990's fiscal pressure increased with Maastricht. But with Monti it increased even more. The "blitz" operations by the government against tax fraud marked public opinion, notably the four million employers i the SMEs, craftsmen; retailers, liberal professions, which form a major share of the electorate. He bases all of his demagogic promises on this, such as "I shall reimburse the IMU"(property tax). Secondly, he knows how to undertake an electoral campaign. Thanks to his truculence and his quips he focuses the limelight on himself. He decides the agenda and turns the election into a vote for or against him as a person. In addition to this he undeniably excels in the media, not only on the private channels which belong to him, but also on public TV. We can quote his recent appearance on channel 7 in January 2013, in the programme of one of his greatest rivals, journalist Michele Santoro who wanted to "knock him out". But this strategy turned against Santoro to the benefit of Berlusconi, who seemed more on form than ever before to an audience of 9 million viewers. Thirdly, Berlusconi is not just a persona but he also embodies what I call "Berlusconism": i.e. a large electorate and a series of contradictory values which please a wide range of voters: the Italians in the south, the middle classes. Finally, the fourth resource he has is hostility to the left that is deeply anchored in a part of Italy. 6. After the "truce" comprising the Monti government, these elections seemed to illustrate the hope for political revival. But finally Mario Monti has stayed in the electoral race and Berlusconi is back. What room for manoeuvre does the leftwing candidate, Pierluigi Bersani have as he runs ahead in the polls? Pierluigi Bersani leads in the polls with a coalition that rallies several centrists and a share of the left. He started off well, he won the primaries with 60.9% of the vote - the movement seemed to support the centre-left as in 1993, when the left was beaten by Silvio Berlusconi. He started off with a great lead and has encountered several problems. The first is the return of Berlusconi with the danger of having to face him - and seeing the election turned into a vote for or against the Cavaliere. Secondly, Mario Monti entered into politics and no one was expecting it. Thirdly, he has to justify 13 months of his party's support to the austerity policy undertaken by Monti and yet criticise him because he is running against him - notably stating that he will undertake a social policy. The room to manœuvre is therefore extremely limited. On the left he runs the risk of being outrun by magistrate Antonio Ingroia, who occupies the area on the left of the left and says that "governing with Monti was out of the question." His campaign is therefore extremely difficult. It is all the more so since Bersani is not charismatic, he is incapable of any media stunts and he wanted to stand as a "normal" candidate like François Hollande. But standing as a "normal" candidate in an exceptional situation causes a problem. In addition to this it is difficult to see what the Democratic Party is offering in terms of innovation. His strategy over the next few days will be to try to maintain his lead hoping that the situation in the Senate is not too much of a catastrophe. 7. In a few words can you provide us with an idea of what might be possible given the specific nature of the electoral system? We have to understand that in Italy the proportional electoral system, which gives a bonus to the majority nationally, means that the coalition that wins - even if it only wins 30% of the vote, wins 55% of the seats in the Chamber of Deputies. The Democratic Party (which does not qualify itself as being leftwing; but centre-left) is due to win the majority in the Chamber of Deputies. However in the Senate this proportional majority bonus system is calculated by region. It is complex and the key regions are Venetia, Lombardy, Campania, Puglia and Sicily. The three main candidates Bersani, Berlusconi and Monti will therefore being vying for them. In these elections on 24th and 25th February 2013 there are three possible outcomes. The first would be a victory for the Democratic Party and its allies in the Chamber of Deputies and the Senate. They might then govern unhindered. Second outcome: a victory in the Chamber of Deputies but not the Senate, negotiations would then start between Mario Monti and Pierferdinando Casini, the leader of the Senate. It would be difficult to put a government team together but that is parliamentary democracy Italian style. Finally, the third outcome would be a victory for the Democratic Party in the Chamber of Deputies but in the Senate there would not be enough centrist Senators because if Berlusconi and Beppe Grillo also score well too and there will be chaos. If there is no clear majority the Italians would be obliged to go back to the ballot box. In my opinion the second and even the third outcome seem to be the most plausible. 8. How do you explain the success of the Five Stars Movement led by comedian Beppe Grillo, an atypical populist party, credited with 16 to 20% of the vote in the polls? What are the main themes in the movement's narrative? In a climate of major social fatigue and because the austerity cure was hard, there is exasperation with the political classes in general; there is relative mistrust regarding the present political offers embodied by Monti - who started the austerity regime, a not very attractive Bersani –and Berlusconi, whom people are mistrustful of because he is a bit of a clown - the Italians seem to be saying –"Why shouldn't we vote for a real clown? [i]" Moreover not one day goes by without further scandals being revealed: national companies, financial scandals in Lombardy in the Latium, involving major companies, (Finmeccanica and ENI) and banks (Monte Paschi di Siena). In this context Beppe Grillo's Five Stars Movement could score highly. He is part of the overall populist trend in Europe that is even greater in Italy with the Italian political crisis ongoing since 1990 and a high level of mistrust regarding the political classes, the intensity of which is unequalled elsewhere. Beppe Grillo's narrative comprises a mix of attacks against all of the elites with the main slogan being "all are rotten" - there is an extremely strong rejection of Europe with the suggestion of a referendum on the exit of the euro and at the same time he is suggesting some rather leftwing measures: such as reducing the working week to 20 hours, a guaranteed minimum wage and support to the opponents of the building of a TGV between Lyon and Turin. Ideologically Grillo has been quite sympathetic to movements on the far right such as "Casa Pound" which defines itself as "a neo-fascist social centre". It is a motley movement which has adopted an extremely strong communication strategy: the refusal to appear on television. Comedian Beppe Grillo, a true orator, has developed a strategy to occupy the streets and squares. And they are full. He harangues the crowds, convinces young people with a vulgar vocabulary, assuming his role as clown to the full. And the television channels give him coverage - which enables him to assert his difference from others. Trans-partisan he is reaching out to a left and rightwing electorate. Campaigning locally in the north and the centre of Italy, he is now moving into the south. It is a movement that is growing and which might score more than Monti. He is credited with 16 to 20% of the voting intentions. It is a paradoxical structure; it is both participative via an internet platform and yet it has a somewhat authoritarian leader, who has already excluded some of his members. We might wonder how its MPs and Senators would behave once elected to the assemblies. This movement is both the expression of a deep political malaise in Italy against what we might call the "leading caste" and at the same time it is a disruptive factor in political life. 9. Like this movement, aren't the other Italian parties converting to this "populist style" which is taking over Europe? We recall Silvio Berlusconi criticising "German-centred Germany" talking of an exit from the euro, showing nostalgia for certain aspects of fascism? Indeed, there is what I call "[i]an excess of anti-politics", a severe criticism of politics. Berlusconi is trying to make inroads into Grillo's territory. In this respect the question of Europe is quite worrying. At present there are four leaders (Grillo, Ingroia, Maroni for the Northern League and Berlusconi) who have made it their battle cry. In the past Italian opinion was positive towards Europe and quite enthusiastic, now it is more doubtful, and is even turning towards euroscepticism: this is a unique development in a country that helped build Europe. What will remain of this electoral climate in which suspicion and doubt reign regarding Europe? A new split has emerged opening the way for a recasting of the political landscape on Europe with the pro-Europeans against the anti-Europeans. 10. What are the issues at stake and the possible consequences of this election in terms of Europe for Italy's partners? This election, like all of those in Europe, are of interest to all Europeans (this was the case in France, it is the case in Italy and it will be the case in Germany). Here we are witnessing a true Europeanisation of national elections. We are following what is going on - we are worried and we take passionate interest. If Berlusconi wins there will probably be a terrible European crisis. The financial markets will be in chaos. It will herald the return of a spectre we thought part of the past. In this case Berlusconi would do everything to take up contacts again with Italy's European partners. He has his own particular interests but he also defends the interests of his country. However, we must never forget that there is continuity in the Italian administration. The Foreign Ministry comprises quality civil servants with competent diplomats who are used to "managing the Berlusconi phenomenon" which would do everything in its power to counterbalance the disastrous effects of this outcome. Undeniably Italy would emerge weakened by this. If Bersani and his coalition win the election there will be a certain continuity with Monti's policy, stronger support from France, a stronger Hollande-Bersani relationship. To conclude we might wonder mid or long term how the Italian public opinion, sensitive to the anti-European discourse in Grillo, Ingroia, Maroni and Berlusconi's campaign, will recover confidence in Europe? The next government will have a great amount of educational work to do in order to reconstruct the Italians' awareness of Europe.